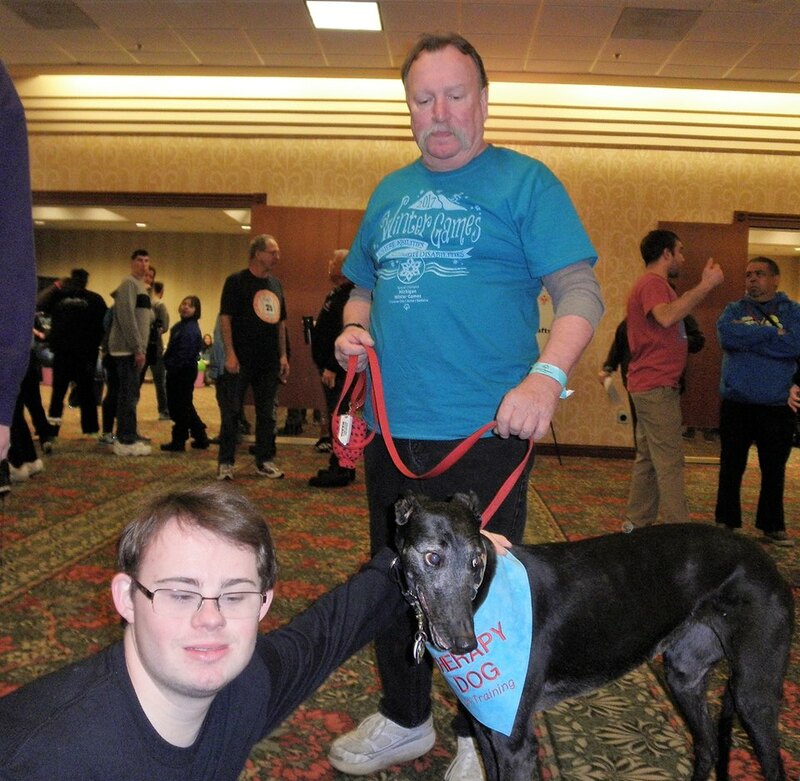 Special Hounds of GRACE – G.R.A.C.E. 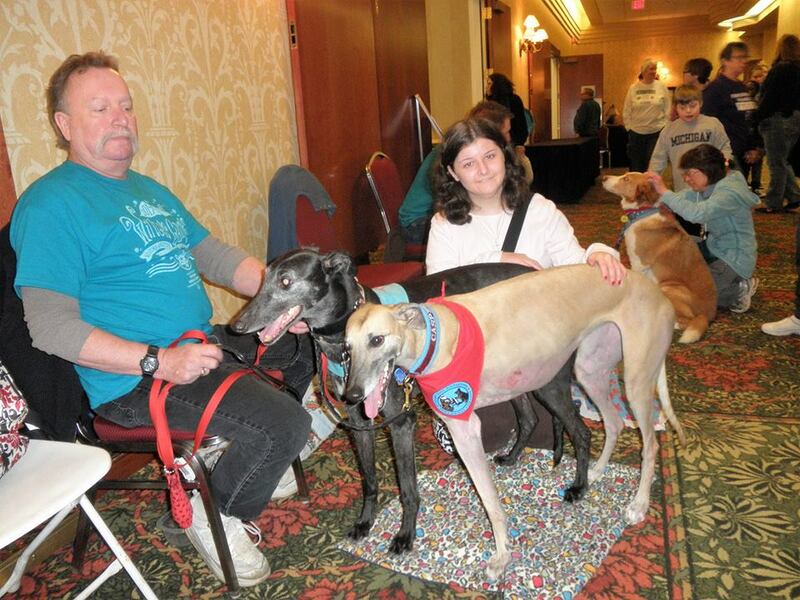 Special Hounds Making a Difference. 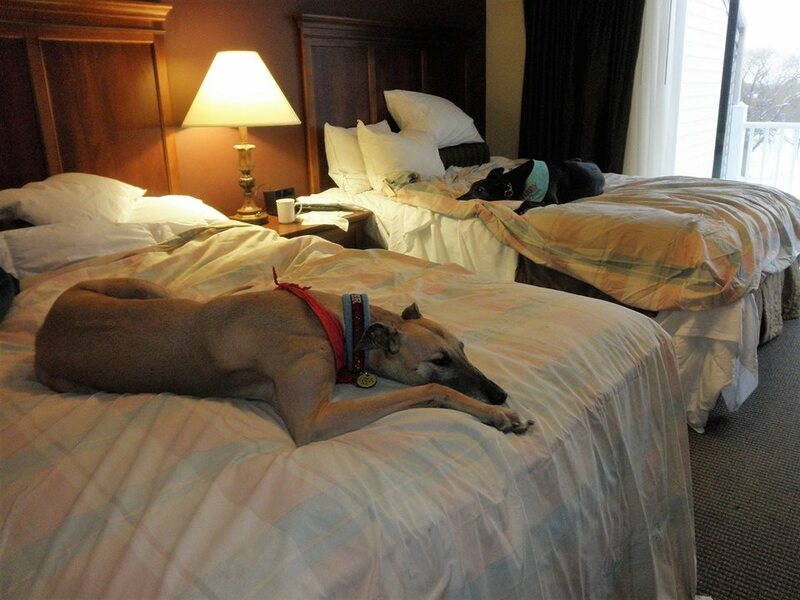 Here are our two G.R.A.C.E. 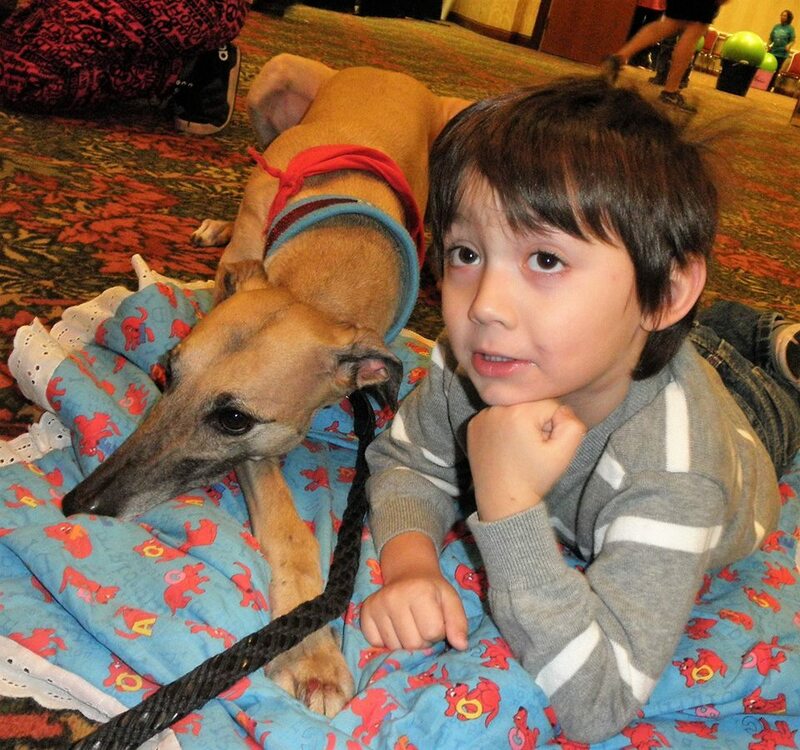 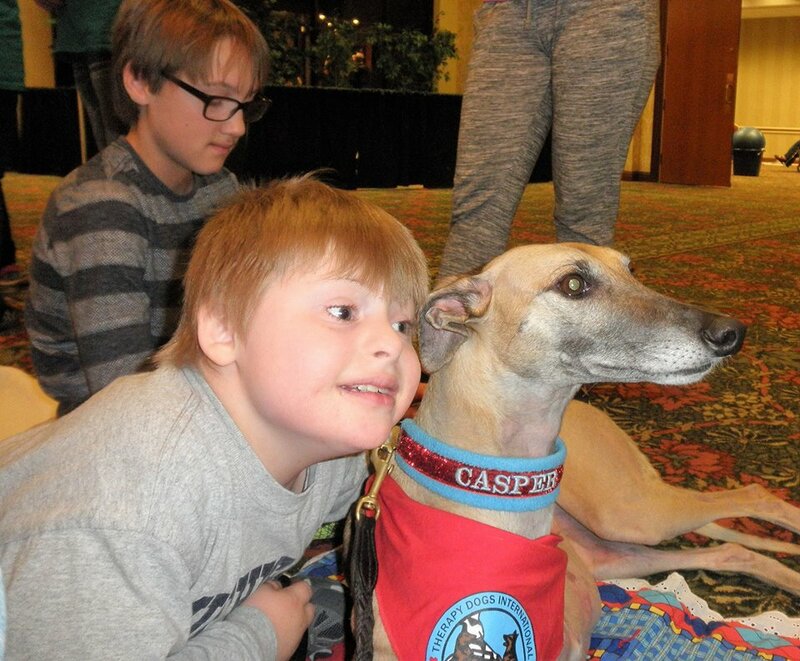 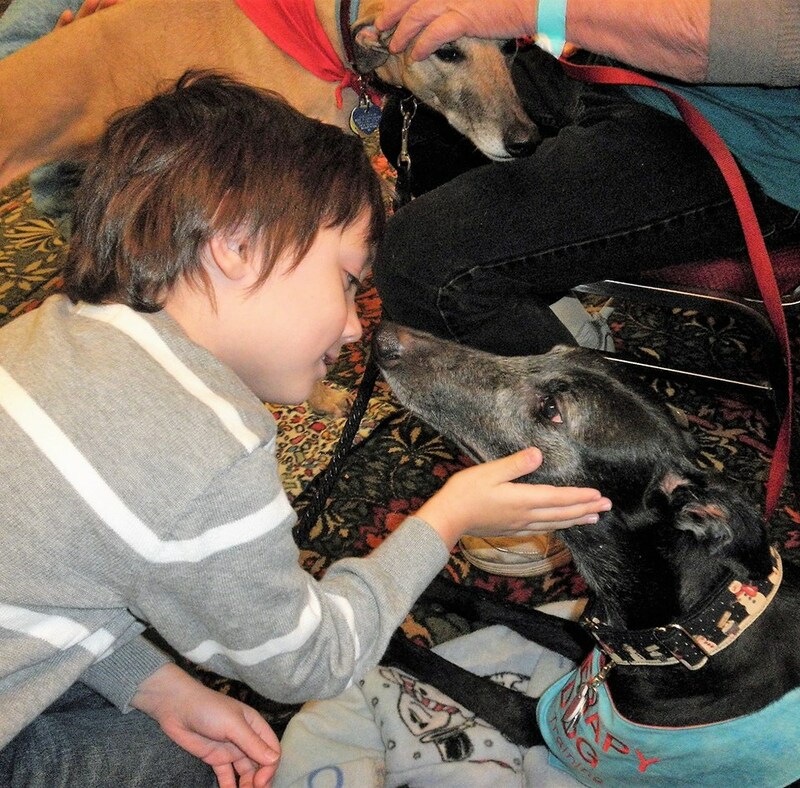 adoptees Casper and Cricket giving Greyhound love at the Winter Games of the Michigan Special Olympics! 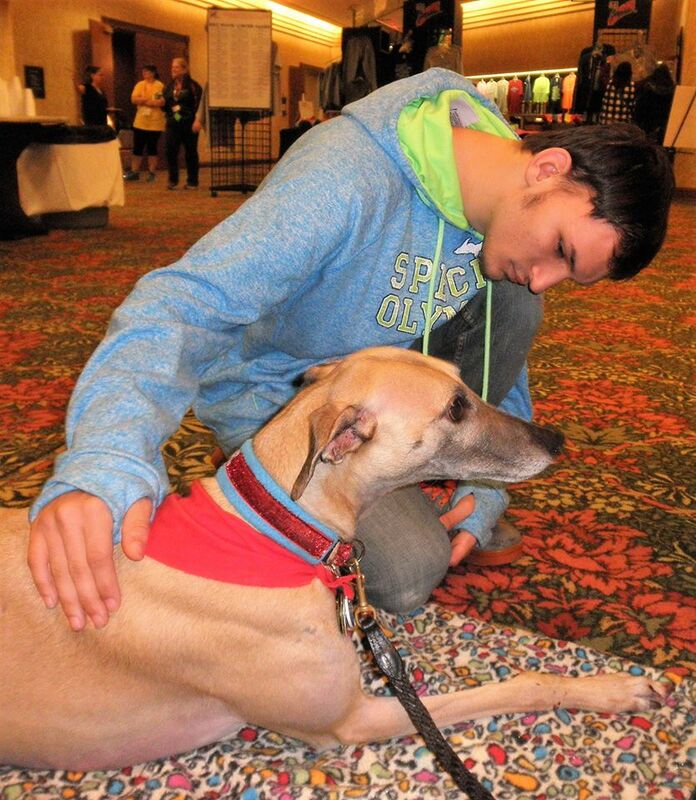 Retired athletes giving stress relief to the Special athletes in Michigan!. 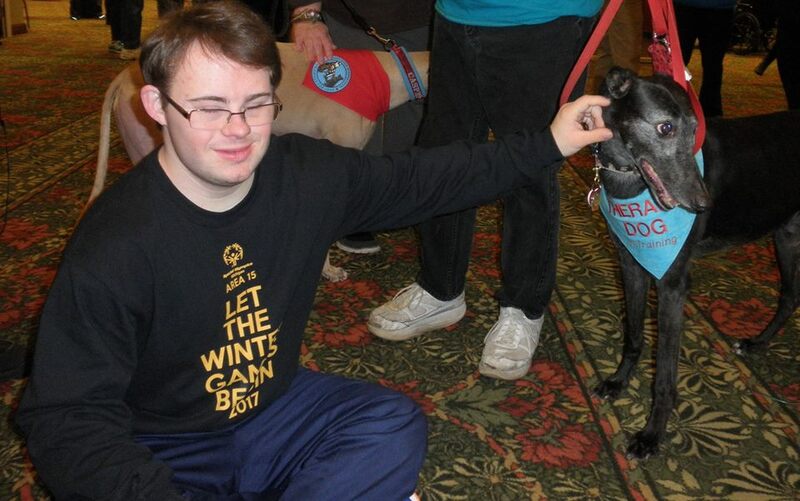 Had a wonderful time doing Stress Relief at the Special Olympics Michigan Winter games! 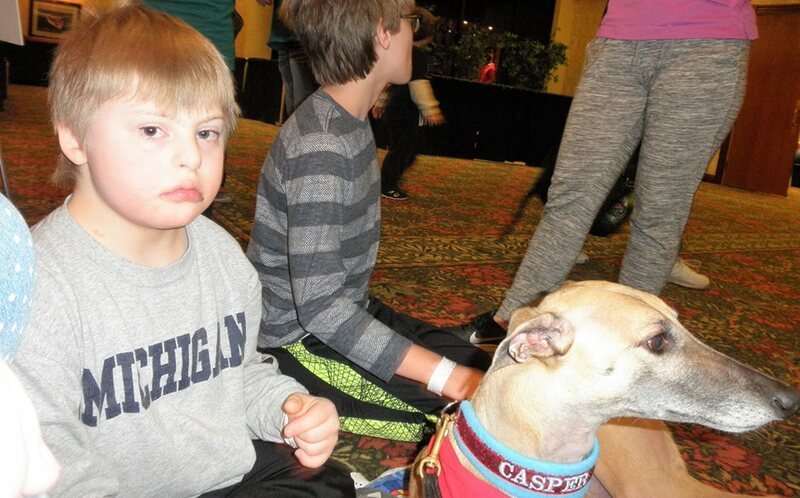 We were toasty warm inside the amazing Grand Traverse Resort & Spa in the Special Events center. 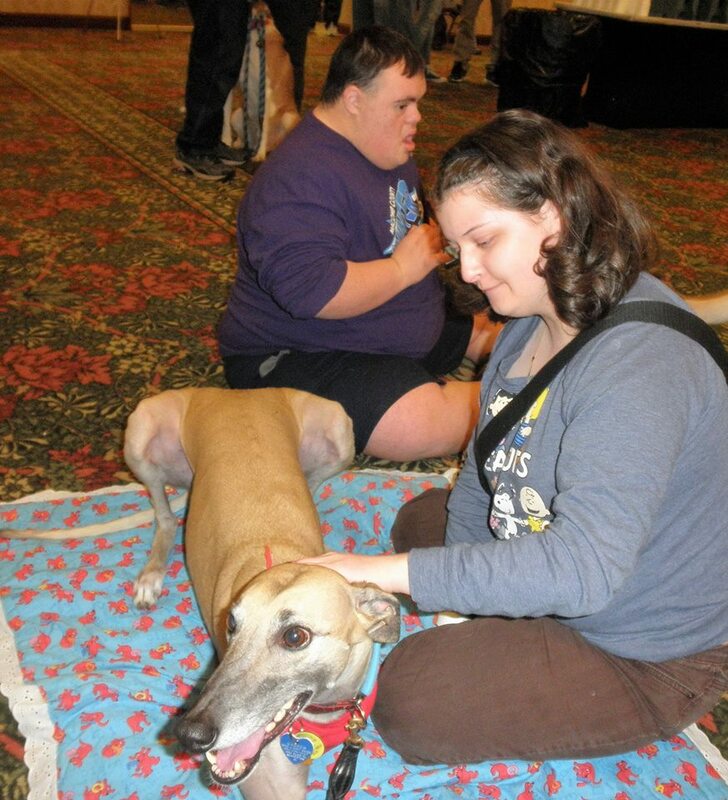 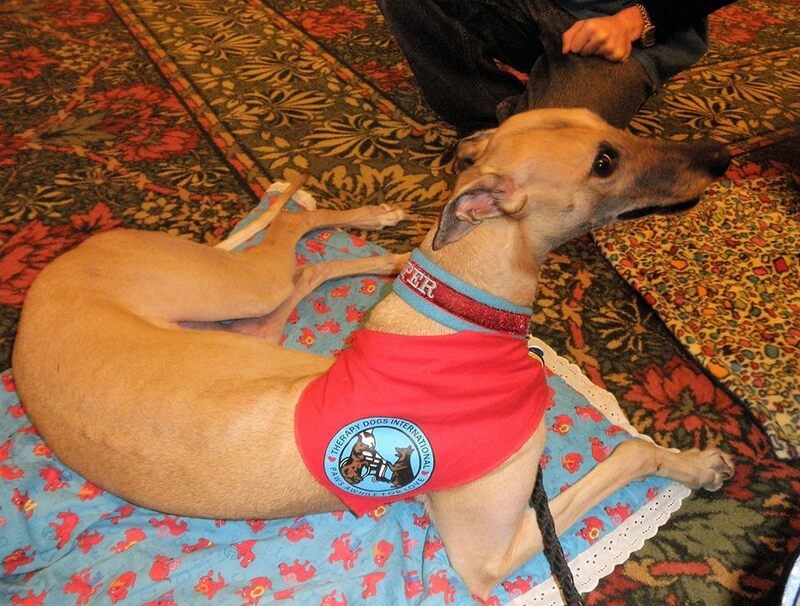 We spread a little Greyhound love aound and saw many friends from last years event.